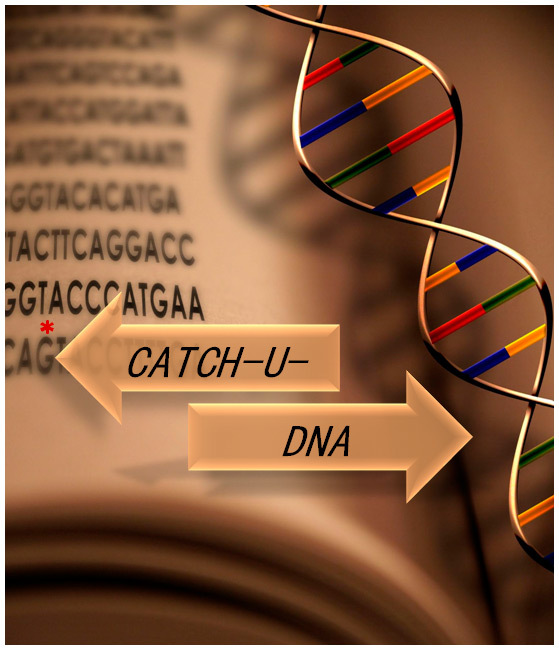 Catch-u-DNA consortium informs you that your personal data will be included in a file whose manager is Catch-u-DNA consortium. These data will be used only to manage replies to questions or requests received through website forms. However the person whose data contained in these forms may exercise the right of access, rectification, opposition or cancellation thereof by writing to the Project Coordinator or Dissemination Manager. A cookie is a small text file that is stored by your browser. Each cookie is unique to each browser and may be used by a web page to improve the user experience as well as your personal preferences.The cookies allow for storing and retrieving information from the user's browsing habits or your computer. Depending on the information and the way you use your computer, cookies can be used to recognize the user.The information stored in cookies from our website is used exclusively by us except those identified as third-party cookies that are used and managed by external organizations to provide services requested by us to improve your user experience in our website. What kind of "cookies" do we use in this web? Session Cookies: They are temporary and are only stored for the duration of your browsing session. When you close your browser, these cookies are deleted. These cookies allow the website to recognize you as you navigate through pages in a single browser session and allow you to use the website more efficiently. Cookies from Google Analytics: These cookies help us understand how visitors navigate through our website, how long they spend viewing our content and how often they return. Cookies from Social Media and Sharing tools : Our website is integrated with a series of social networking sites. These websites can set cookies to identify you when you are also connected to their services. Who uses the information stored in the "cookies"?